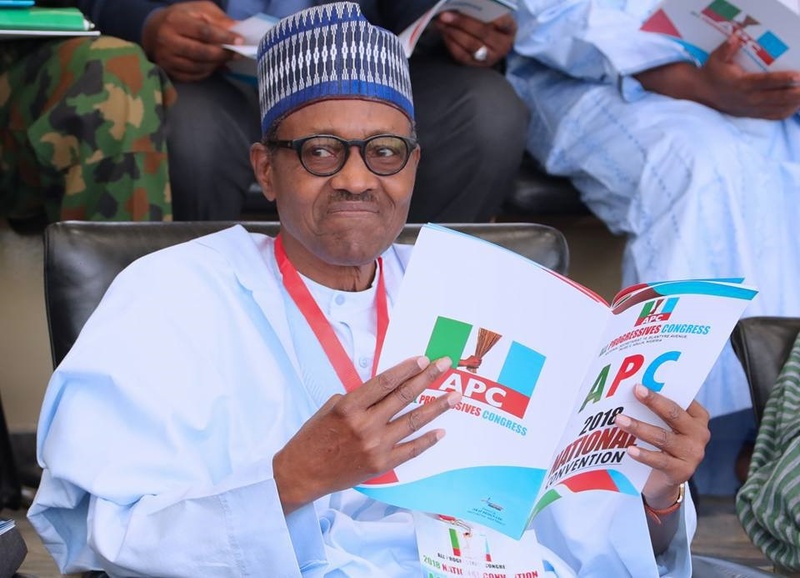 President Muhammadu Buhari on Tuesday hosted aggrieved aspirants of the All Progressives Congress in the just concluded primaries across the country. Those in attendance at the dinner include: aggrieved gubernatorial, National and State Assembly aspirants who failed to secure the party’s tickets. The meeting was also attended by Secretary to the Government of the Federation, Boss Mustapha, cabinet ministers and other presidential aides. Addressing the party members under the auspices of APC Aspirants Forum, the President pleaded with the aggrieved members to remain resolute and loyal to the party. He also promised the aggrieved members that the party leadership would do the needful to ensure that their stolen mandates are returned. An APC chieftain, Ahmed Wadada, briefed State House correspondents on behalf of the group after the meeting held behind closed doors. He said the members have pledged to support and work sincerely with the party. It would be recalled that the President had on October 13 met with aggrieved members of the House of Representatives under the platform of the APC. Recall that Buhari had also met collectively and separately with aggrieved serving APC governors who expressed reservations over the conduct of the party’s primaries in their respective states. The National Chairman of the APC, Comrade Adams Oshiohmole, had on Oct. 21, in a statement by his press secretary, Simon Ebegbulem, alleged that conservatives within the party are ganging up to pass a vote of no-confidence on him.